8 miles east of London is the town of Woowich, on the banks of the Thames. Here, from 1671 till it's closure in 1967 was the location of the Royal Gun Factory. 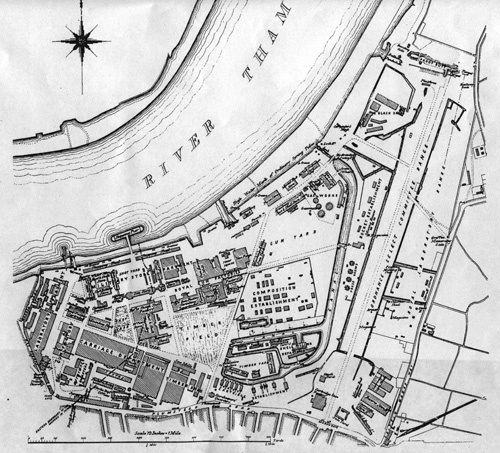 The chief feature of Woolwich was it's arsenal which encompassed over 1300 acres at it's peak in WW1. In 1545, Henry VIII was looking for a more remote place than London to test and proof their guns, and the first military building at Woolwich, a mansion called "The Tower" was built towards that end. The artillery first came to Woolwich by order of Charles II, to counter raids up the Thames by the Dutch. A fort was built on the site of the Arsenal, manned by 60 guns, and was originally known as "the Woolwich Warren". Originally guns were tested there, but it wasn't until 1717 that guns were made there. Up till then it was an ordinace storage and testing facility and by 1695 an ammunition laboratory was established, The Royal Laboratory. The gun foundry was known as the Royal Brass Foundry (later known as the Royal Gun Factory), and by 1805 the name of the Woolwich concern became the Royal Arsenal, by the suggestion of King George III, who we've had our troubles with in the Revolutionary War. 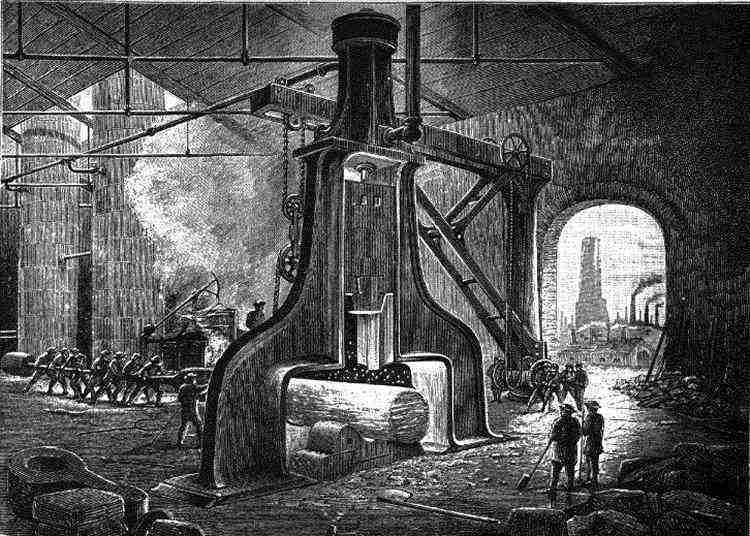 From 1715 to 1717, the gun foundry was established after the explosion of a gun being cast improperly at the Moorfields Arsenal, in London. A lot of guns were built in private foundries, but were usually proofed at Woolwich and other proof houses, but then the government got into the gun business. The headquarters of the Royal Artillery was soon formed at Woolwich and a military academy formed. By 1770, due to continued cannon making with no time taken for maintenance, the arsenal was in sad shape. The arsenal came under the influence of the Verbruggen family, who had to leave the Hague foundry over disagreements with the authorities. Thereafter, the arsenal's guns rivaled anything made. A gun repository was formed for older guns, but burned down in 1802. What was left was housed in the Old Royal Military Academy, and eventually became the modern Firepower Museum, there to this day, and housed in some of the original arsenal buildings. The wall around the arsenal was raised to 20 feet in 1820. Guncotton and cordite were develped during the Crimean War, and the first War Department Chemist was set up. The arsenal expanded into Plumstead marshes and the guns were tested there till the range was moved to Shoeburyness on the channel coast. 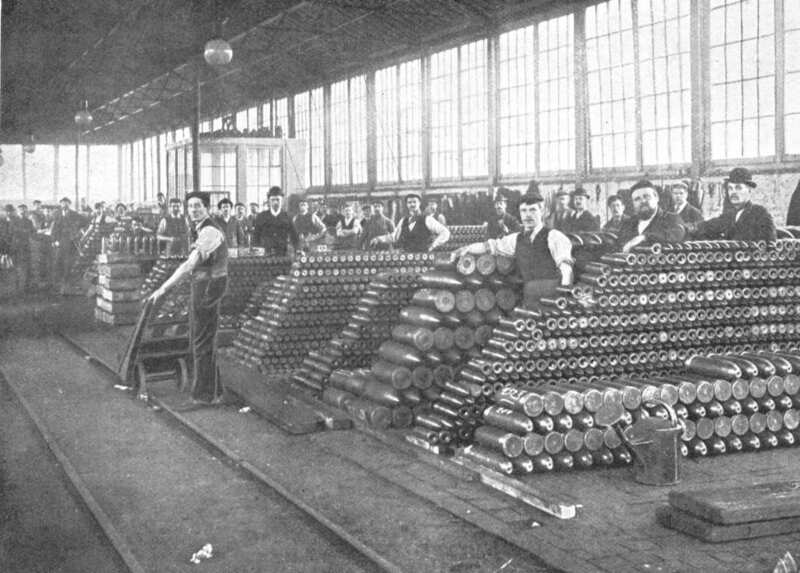 A massive expansion occured during WWI, when the arsenal occupied over 1300 acres, and employed 80,000 people. By then it housed the Royal Gun Factory, the Royal Shell Filing Factory, The Research and Developement Department, and the Chief Chemical Inspector, in charge of chemical composition of explosives. Gunmaking there changed over the years to keep up with technology. By 1850, advancements in casting steel, precision measuring, and forging machinery were all coming together to allow the British to make some of the most fearsome cannons on earth. They had plenty of competition, as many countries were fast making the same advancements, particularly with Krupp not far across the channel. Steel wasn't used for complete guns, as they seemed to burst without warning, to the detriment of other countries efforts. 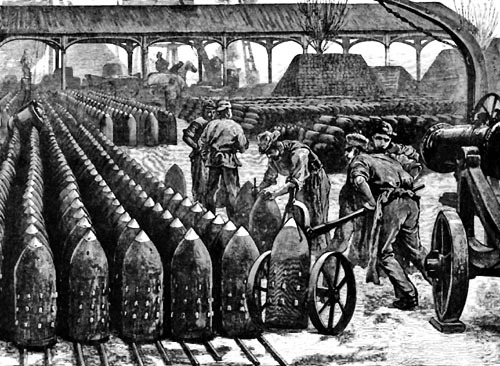 Rifled steel barrels were quenched in oil baths to harden and toughen the metal, while coiled wrought iron was used to wrap around the barrel, with successively larger coils towards the rear of the gun. 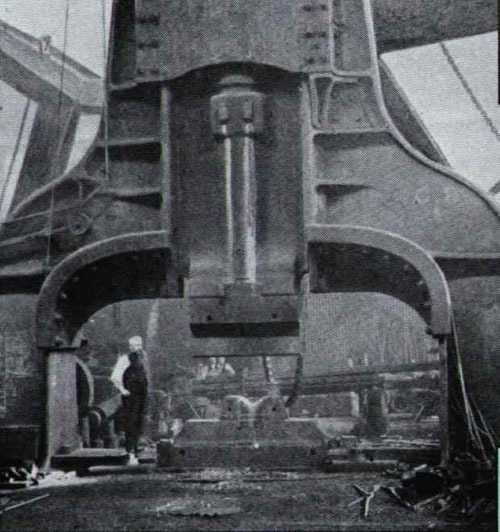 This tension could keep the gun together under the enormous pressures imparted by trying to move a massive shell against the rifling. These sorts of pressures were never encountered in a smoothbore gun, which was much more forgiving, as nothing in the shell other than it's weight increased resistance. Around 1859, the Armstrong system was developed, which were steel rifled guns with the standard coils of wrought iron shrunk upon the barrels. The Elswick Company couldn't keep up with demand so their designs were also built at the Royal Arsenal. The guns proved themselves immediately in campaigns in China and Japan, and though not perfect, they were good enough. 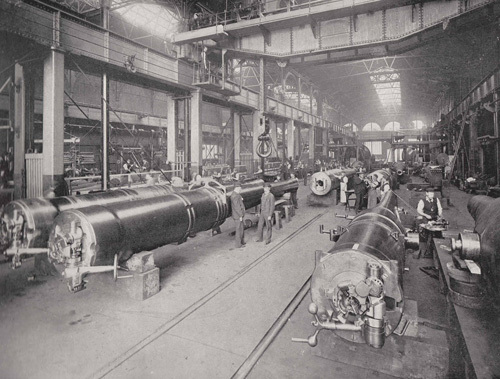 The Woolwich gun (or also known as the Fraser guns) was developed as a way of making the guns cheaper. Instead of shrinking the coils on the guns, they were made with hooks and hooked together and welded. Fewer coils could be used than Armstrong guns, and they didn't have to be so finely machined, as the correct size for shrinking was difficult to obtain. The trunnion ring was now also welded on, since on earlier Armstong guns the shrunk ring sometimes shifted forward during firing. The British resisted breech loading guns as unsafe until the explosion on the Thunderer, where a muzzle loading gun was double loaded. This accident could never have happened on a breech loading gun. Also advances by Krupp and the French led to a practical breeching system. Armstrong's armories and Woolwich were finally building breech loading cannon by the 1880's. 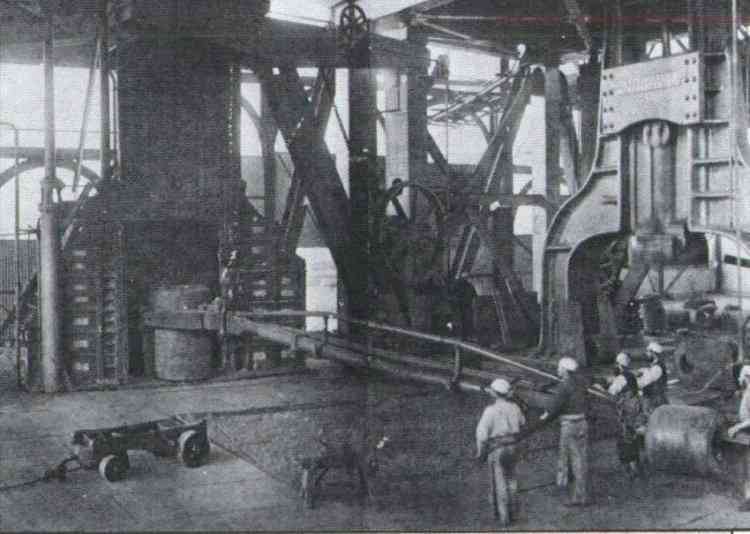 Everything needed for the big gun was done at the Royal Arsenal. 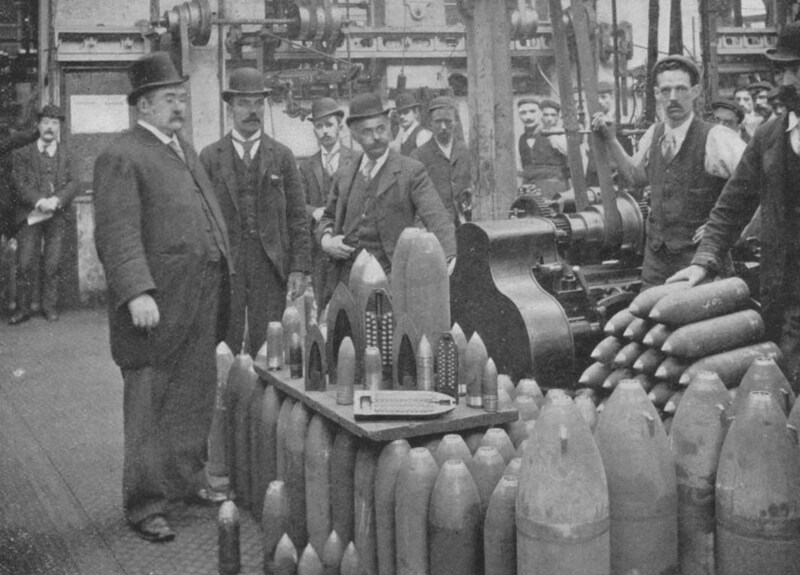 The carriages for the peices were built, the shells made and filled, the mixture of cordite developed in their labs. The training and housing of the Royal Artillery was in house. 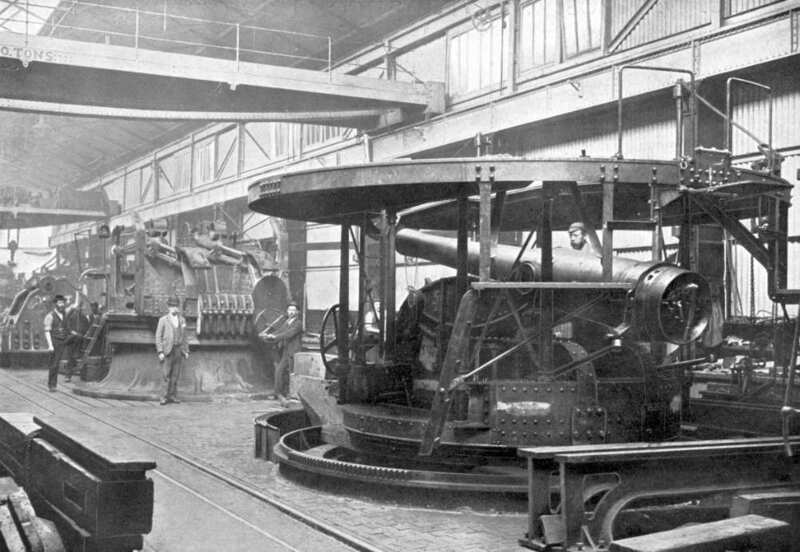 During the 20th Century, during the periods of quiet between the wars, the Arsenal built locomotives to keep busy. They were already making them for their own internal railway system so were up to speed. The Arsenal, finally closed in 1967, is now a bustling residential and commercial area. Parts of the Arsenal have been dug up by PCA, an private archeaology firm, and found numerous quantities of carriage parts, some dating from the 18th century, and the anvil for the Arsenal's huge 35 ton steam hammer.